The field methods my research team and I employ to answer simple questions like those posed above are likewise rather simple. They entail two components: 1) describing and monitoring each of the forest types and 2) determining how animal populations are affected by variation in the forest across space and through time. We use a series of botanical plots to assess the types of plants in each forest type and measure their productivity over time. There are ten plots in each of the seven forest types, and each month we visit every one of the more than 6,000 plants in these plots to determine whether they are flowering or fruiting. This provides us with a sensitive measure of spatial and temporal changes in plant food availability for animals. We monitor animal populations and their diets by walking standardized four kilometer survey walks in each of the seven forest types four times per month, and conduct more detailed observations on target primate species to better understand their behavior, diets, and demography. Below I briefly describe two ways that these data can produce non-obvious insights that can meaningfully inform our efforts to conserve threatened species. The examples relate to two non-human primate species, both of which are endangered and serve crucial roles in maintaining the healthy functioning of Indonesian tropical forests. The first study addresses movements of Bornean orangutan (Pongo pygmaeus wurmbii) populations among the seven forest types at Cabang Panti. The study is ongoing, and is being funded in part by a generous contribution from the Orangutan Conservancy. Although data collection is still underway, some interesting patterns have begun to emerge from our first four years of study. Using data from our vertebrate survey walks we can calculate the number of orangutans in each of the seven forest types each month, and compare the distribution of orangutans to the measures of food availability derived from our botanical plots. 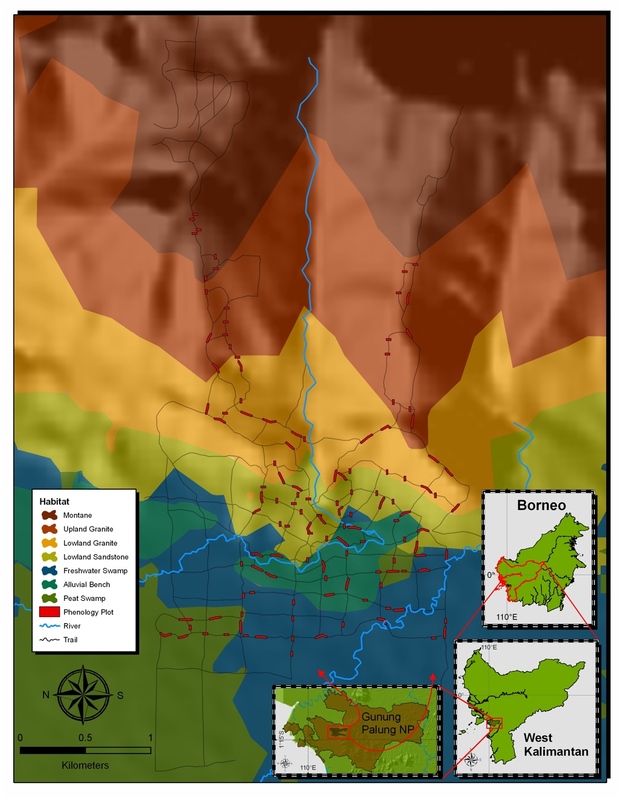 The number of orangutans in each forest type varies dramatically from month to month (from zero to more than twelve individuals per square kilometer), which reflects both the movement of individuals into and out of the study site and how the orangutans within the study site are distributing themselves among the different habitats. This wide variation is remarkable, but even more interesting is how much the relative importance of different forest types varies over time. Six of the seven forest types have each housed more than 90% of the entire study site’s population for a period of at least a month. 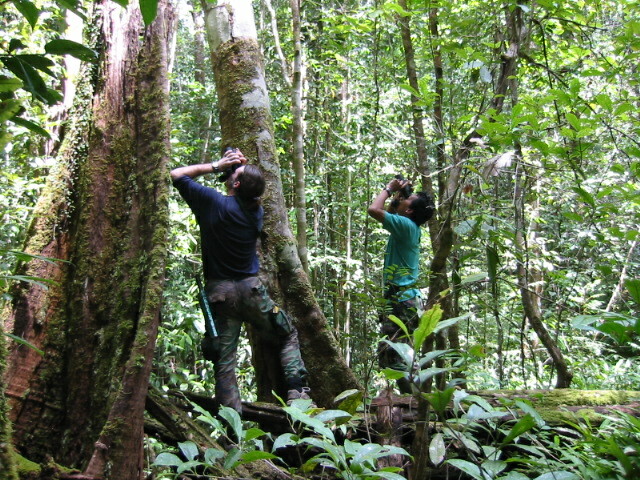 In a particularly notable example, during one three month period 75% of all orangutans found in the study site were found in the peat swamp forest. These dramatic shifts seem to be well explained by variation in food availability across the gradient of forest types. Orangutans appear to prefer to spend time in the lowland forest habitats (freshwater swamps, alluvial forests, and low elevation forest on sandstone and granite soils), and the number of orangutans found there per month is well predicted by the amount of food present during that period. The other forest types, the upland forests and especially the peat swamp forests, are used as fallback habitats– orangutans go there when times are bad in the lowlands. In other words, orangutans migrate across the complex habitat landscape to buffer themselves against spatial and temporal variation in plant food availability. At even this relatively preliminary stage in the analysis, our results suggest a number of important lessons for orangutan conservation. First, all forest types contribute to maintaining the orangutan population at Gunung Palung and are therefore worthy of protection. Even the montane forest, which is normally largely devoid of orangutans, housed the entire orangutan population in our study site during one of the months in our sample. Second, peat swamp forests are especially important for orangutan preservation because they provide sustenance during lean periods when food is unavailable in their preferred lowland forests. Indonesian peat swamps are at great risk, both due to forest fires and the fact that they contain a number of prized timber species that attract loggers. Their status as orangutan fallback habitats provides added incentive for their protection. A final lesson, related to the first two, is that the absence of orangutans from an area during certain periods does not necessarily imply that the area is irrelevant for orangutan conservation. During one period of more than four months we did not observe any orangutans in the peat swamp forest, even though we know this habitat is likely crucial for their long-term viability at Gunung Palung. If a short study were conducted in the peat swamp during this time that aimed to assess the importance of this forest type for orangutans it would conclude precisely the wrong thing: that peat swamp forest is unimportant for the orangutans at Gunung Palung. This is dangerous and disconcerting, especially when one considers that some major conservation groups have strongly advocated using rapid surveys to assess an area’s conservation importance. The second study examined the demography and population ecology of Bornean White-Bearded Gibbons (Hylobates albibarbis). 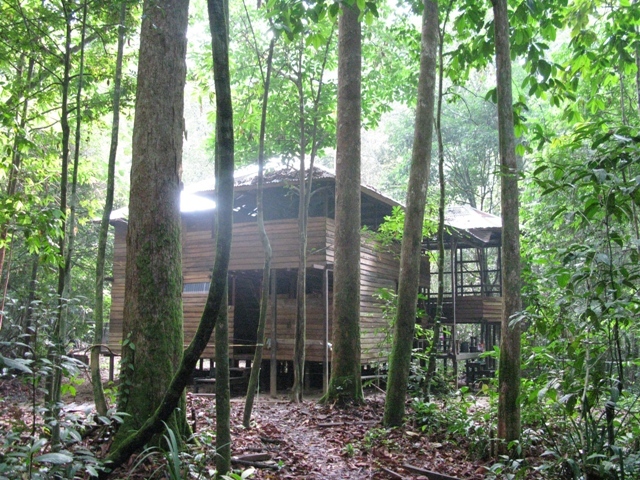 As part of my dissertation research, I lived at Cabang Panti for two years, gathering detailed data on the quality of the seven forest types for gibbons and examining how this variation in habitat quality affected the 33 gibbon groups that I was monitoring. Some of these groups had territories in high quality forests, while others lived in much poorer quality habitats. The montane forests appeared to be particularly low quality, and I noticed that at high elevations gibbon groups tended to be smaller than in the lowlands, and contain very few infants. I wondered what the long-term consequences of these patterns might be and created a simple mathematical model to examine the demography of gibbon populations at Cabang Panti. The results were striking, showing that groups living high on the mountain were not reproducing enough to maintain a viable population there. The clear implication was that the montane forest was inadequate to support gibbons and that the only reason they persist there is because of emigration from the high quality lowland forests, where gibbons were reproducing well. As with the orangutan population study, this simple demographic result has important implications for conservation of gibbons at Gunung Palung. First, it clearly shows that gibbons inhabit forests that cannot support them in the long term, meaning that a rapid survey conducted at Gunung Palung would erroneously suggest that the montane forest is good gibbon habitat. This is, of course, the converse of the third lesson derived from the study I describe above: in the orangutan study, the absence of animals did not mean that a habitat was unimportant; here, the presence of animals does not necessarily mean that a habitat is important. Second, because lowland, source forests are being disproportionately lost due to logging, fire, and agricultural encroachment, the conservation status of gibbons at Gunung Palung is worse than it appears. As lowland forests are being lost, those concerned about gibbon conservation might find consolation in the knowledge that gibbons can be found high atop the mountain, well away from most forest destruction. In reality, however, since the montane forests cannot themselves support gibbons, gibbon populations there would likely go extinct if lowland forests were lost– even if the montane forest itself were never logged. The final implication is more subtle, but no less important. 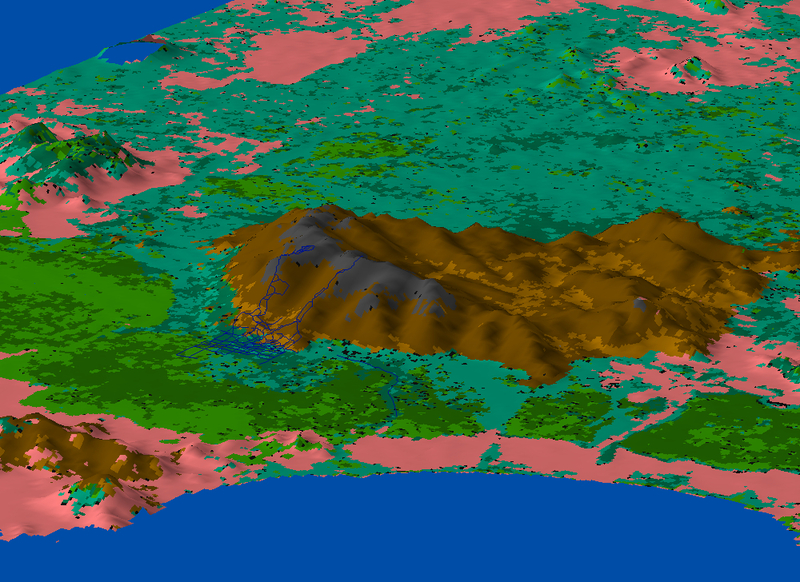 Those of us interested in maintaining populations of threatened animals frequently use computer simulations known as Population Viability Analyses to assess the anticipated outcomes of various threats and management alternatives. We make every effort to inform our models using data from wild populations on birth rates, death rates, abundance, and so forth. This seems like good practice– using real data is, after all, desirable. The problem is that most long-term studies are conducted in the best quality habitats, where vital population parameters likely indicate “best case scenarios.” It is understandable that scientists want to study in places where they will see the largest number of animals, but if we use information gathered at such sites in our models we are likely using estimates of crucial parameters that are overly optimistic and not representative of many, perhaps most, places that our study species occupy. This would lead to biased and dangerously optimistic conclusions about, for example, the chances of population persistence or a species’ ability to rebound from habitat degradation. In closing, I return to the personal question that I implied at the outset: has conservation at Gunung Palung been meaningfully advanced by my scientific research? Of course I would like to think so, although I am not at all sure that it has. Conservationists– or, more specifically, scientists involved in conservation– are often portrayed as pessimists. According to the stereotype, we tend to focus on bad news rather than good news, threats rather than opportunities, failures rather than successes. It is hard not to be acutely aware of the perilous state of nature conservation in much of the tropics and the uphill struggle required to achieve even modest goals. But in realty, most of us are, at heart, optimists. We believe that small groups of committed people can make a difference. We can envision a future in which the needs of wildlife and the needs of humanity are not seen as competing goals. We place great hope in the burgeoning indigenous conservation movements across the tropics. If we didn’t believe these things, we would have given up long ago. But optimism is not the same thing as demonstrable success, and I still wrestle with the question of how best to make a real difference. At present I try to take some comfort in the knowledge that the results and lessons for conservation I discussed here would not have emerged without ongoing, continuous monitoring of primate populations and their habitats over a period of many years at Cabang Panti. This emphasizes the importance of long-term research, at Gunung Palung and elsewhere. There is still much that we need to know that only extended field studies can tell us. This has always been true, but in an era of rapid climate change and unprecedented human alteration of the environment the need for field studies conducted over periods of many years has never been greater. Only the long-term perspective of such studies can adequately document the effects of climatic and environmental change on tropical forests and the cascading effects on the species that inhabit them. In recent years, shrinking research funding and decreased political enthusiasm (at least in Indonesia) have made the protection and support of established research sites harder than ever. These challenges mean that hard work is needed to keep these valuable resources open and functioning. In the end, perhaps my best contribution will simply be having had a hand in keeping our research station viable. 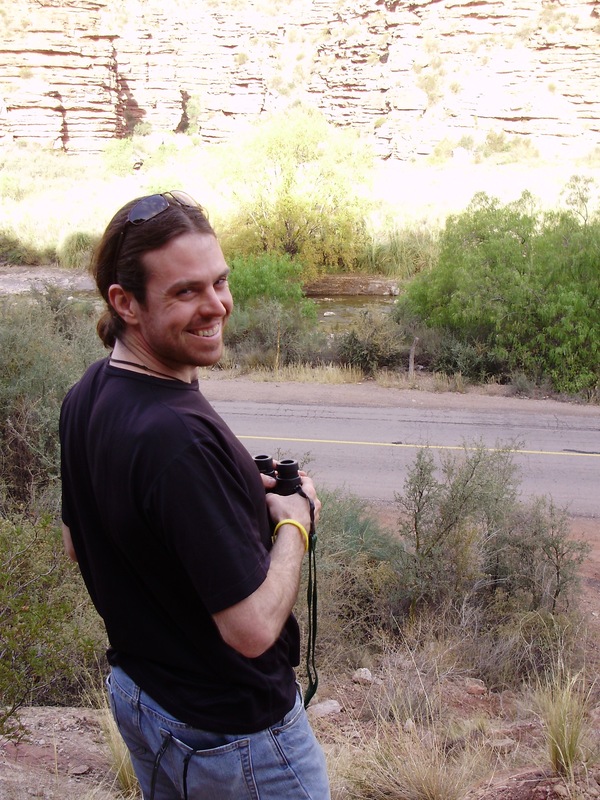 Dr. Andy Marshall is an ecologist, conservation biologist and evolutionary anthropologist who works primarily on primates and tropical rain forests. For the past sixteen years, he has mainly focused on research and conservation in Indonesia, where he has conducted more than sixty months of fieldwork. Andy is currently an Associate Professor in the Department of Anthropology at the University of California,Davis. He and Dr. Cheryl Knott co-direct the Cabang Panti Research Station in collaboration with the Gunung Palung National Park Bureau. He would like to take this opportunity to express heartfelt thanks to his long-term field staff and sources of research funding (especially The Orangutan Conservancy, The Leakey Foundation, The Hellman Foundation, and UC Davis). Wonderful article, very informative. I wish that all the hard work – the 60 months and 16 years would really pay off. We need more dedicated people like Andy. Very educational! You deserve a huge “thank you” for your commitment to bringing the public such vital information. This article was so interesting and informative. Fascinating preliminary conclusions. Thank you for sharing this article and for all the dedication and hard work for the survival of these species and crucial habitat. Nice article Andy. 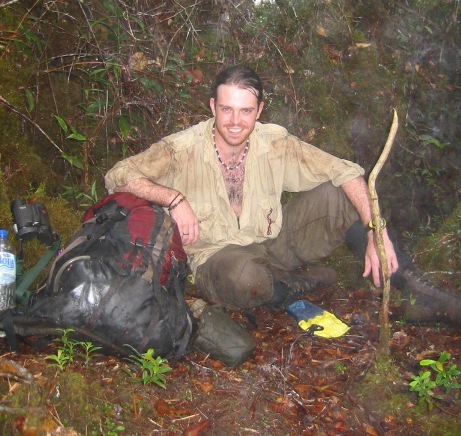 A very honest appraisal of the conservation value of field research. In the end it all boils down to the presence of conscientious people in areas that badly need protecting. Better if its home grown, but equally valid if in the end if all interested parties work together. Very thought-provoking, Andy & OC! I love hearing from folks in the trenches, esp. having been one myself a couple of times (as a volunteer – not as a researcher). Especially interesting was that species observed in one area is not indicative of where they spend the majority of their time, nor does the absence of a species indicate that is doesn’t need that area to survive. Clearly, more studies are needed to determine this within rainforest the layers. The question is: do orangutans, gibbons, rhinos, tigers, etc. have the kind of time? That’s where I believe politicians, educators, communities, businesses, philanthropists, & whoever else must work with scientists to quite literally buy time for species most at risk. 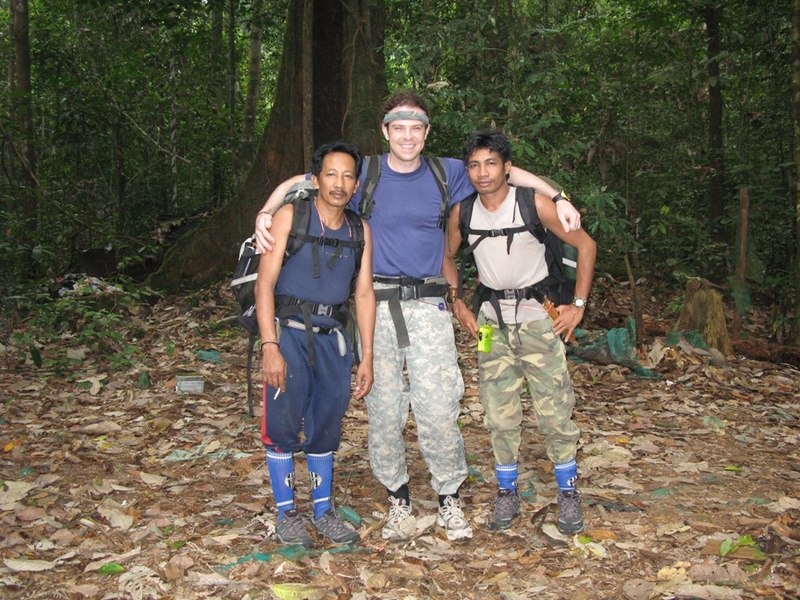 Thank you all for your thoughtful comments and interest in our work at Gunung Palung (and hi Mike!). Lesa raises an important issue regarding how much time many threatened species have. My view is that we are naive if we think we can halt the rate of population decline completely (at least in most cases). Often, the short- to medium-term goal has to be to slow the rate of decline as much as possible, so that there are still populations of animals and tracts of forest left when prevailing attitudes, values, and incentive structures have changed in a way that is more favorable for conservation. There will always be tensions between alternative land uses, as there are in other countries, but a more level playing field will ensure that endangered species and ecosystems are more appropriately valued in those calculations. Altering perceptions and priorities does not happen overnight, of course, but things are moving in the right direction. Very nice and honest piece. Thanks for sharing this. If scientific research means you are able to spend long periods of time out in the forest working in solidarity with local people and the forest then you become well placed to be a great advocate for its protection however many papers or articles you publish. Keep it up Andy! You have done great work and it so valuable to read up to date information. Often reports are out of date; and as deforestation is such a rapid process its hard to know what the current position is. I’ve recently been to East Kalimantan and carried our a short 3 week voluntary program with Orangutans. It provided me with an up to date insight into the complicated process of conservation; but left me bewildered as to whether ANYTHING could be done to save the forest. On return I am much more optomistic that at least somethng will be done so long as big companies are forced by campaigners to do the right thing as quickly as possible. I am doing my little bit with my own company in relation to sustainable palm oil. We are not big users like Unilver but on the basis that everything counts we are significant and my passion for the best outcome has been recognised in our company and has given people a wake up call. The sustainable palm oil process has been excrutiatingly slow over the last few years but I’m working onthe basis that 2012 has to have a step change in speeding up. The more focus that conservation groups can give this the better it will be; particularly when supported by solid research data such as yours. I hope you and your team and others like you feel very valuable. wonderful article – I am thrilled you are where you are and working so hard; don’t sell yourself and your work short. Thank you so much. Very interesting and informative article and inspiring inspite the odds.